What Can Contractors Do to Help After Hurricanes Harvey & Irma? Like others across the United States, the Timesheet Mobile family has sadly watched the devastation wrought by Hurricanes Harvey and Irma. At the same time, we continue to be inspired by the countless acts of heroism and selflessness on the part of those involved in the emergency action plans. First responders and thousands of citizens from all over the country have pitched in and volunteered their time and services to help people and animals find safety amid the chaos. We extend our deepest sympathy to all of those who have been affected. As you rebuild, we offer our full support to our collegues and customers in the region. The construction industry will play an especially important role in helping affected areas of the country rebuild in the wake of the disaster. 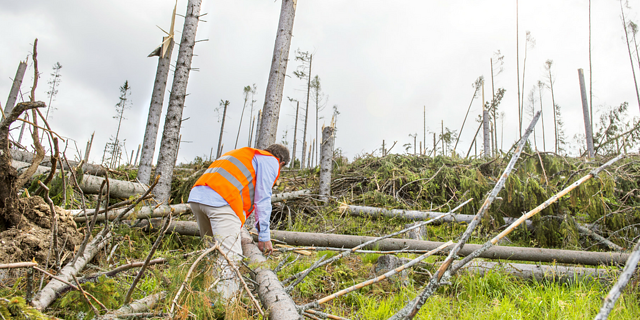 There are also a number of things to keep in mind when you’re working in a disaster zone. Here are some things to consider if you plan to be professionally involved in the clean-up and/or rebuilding effort. According to the Federal Emergency Management Agency’s (FEMA) website, “FEMA’s goal is to seek local companies within the disaster area for goods and services related to a specific disaster when practical and feasible.” The policy is the result of a law called the Stafford Act, passed by Congress in 1988, that aims to systematically assist state and local governments in aiding citizens following a natural disaster. It’s clear that local firms alone will not be able to shoulder the burden of the recovery from these hurricanes. Out-of-state companies are already heeding the call to meet the massive demand. And major corporations, including Home Depot and Lowe's, are donating both supplies and money towards the recovery efforts. Out-of-state construction firms looking to provide support need to be eligible for a FEMA contract. To do so, your firm has to register with the System for Award Management (SAM), which has replaced the Debris Removal Contract Registry. While it is free to register with SAM, it may take quite a bit of time and paperwork. For that reason, you may want to consider registering via a private “professional registry service” that will charge a fee to get you set up with SAM. Make sure, however, that any company offering such a service is legit. If you don’t know anyone who has used it, get in touch with FEMA to confirm that the service is authorized to do business. The Department of Homeland Security website makes it very easy to identify contracting and subcontracting opportunities that your firm might qualify for. You can search a list of contracts based on budget and scope of work. If you take on work for FEMA, be sure to keep accurate records of your work, including tracking labor hours and reporting them according to FEMA regulations. For this type of federal work, you should always be prepared for an audit. Make sure to have the right systems in place to keep track of what you and your team are working on. This also includes an emergency action plan checklist to share with any number of managers or employees. You can use that to centralize all of the tasks and see which ones have been marked as complete on the shared to-do list, helping everybody stay on same page. In disaster situations, the federal government pays for a large share, but not all of the recovery efforts. Florida, Texas and Louisiana will also be looking for local contractors to support their own emergency action plans. If you’re interested in helping with the Hurricane Harvey rebuilding effort, the first step is to pay the $70 registration fee to get on the Centralized Master Bidders List. Texas licensing rules differ based on trade. Homebuilders or roofers, for instance, are not regulated by the state, but they may be required by certain local jurisdictions to get permits to do work. However, heating, ventilation and air conditioning (HVAC) professionals looking to do recovery-related work in Texas must register with the state and pay a $20 fee. Those helping with mold remediation do not have to be licensed, but the contractor employing them must provide them with a certain amount of state training. Texas and Louisiana have a reciprocity deal for master electricians, allowing them to work in either state without getting additional permits, but the same deal may not be available to electricians from other states. For rebuilding efforts following Hurricane Irma, consult the state's Department of Transportation which lists several types of contracts that have been put into place in the event of a hurricane or other emergency. These include debris removal, generator installation and traffic signal repair. All vendors interested in doing business with any State agency must register with the Florida Department of Management Services website. When in doubt about permits, your best bet is to contact the appropriate state agency, most likely either the TCMB in Texas, the Governor’s office of Homeland Security and Emergency Preparedness in Louisiana and the Florida Division of Emergency Management. In June of this year, there were an estimated 225,000 open construction positions nationally, an increase of nearly a third from 2016. And at no other time is the country’s shortage of construction labor more painfully obvious than in the aftermath of a devastating hurricane. As a result, if you plan on bidding for recovery-related projects, you can expect to pay even higher wages than usual in order to attract the necessary labor. That may also apply for unrelated projects in other parts of the country, as a large number of trades workers will likely migrate to recovery-related work. One of the continual benefits of working in the trades is that you can see the difference your work makes everyday. You build and maintain homes, streets, water lines and all of the things that people depend on to lead happy, safe lives. The trades are always valuable, even in times of peace and prosperity. However, it is in times of crisis and tragedy when the value of these skills is particularly appeciated.